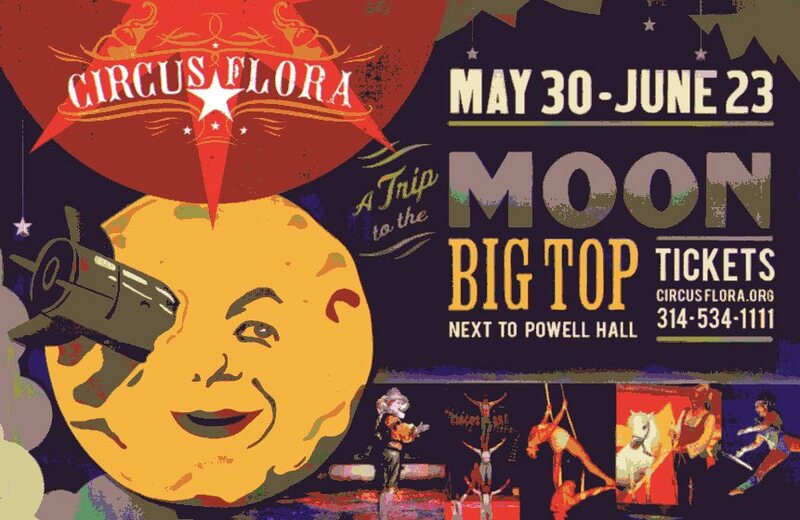 “A Trip to the Moon” is the inspiration for the 2013 production of St. Louis’s own Circus Flora. As most people know, “A Trip to the Moon” was a 1902 film by Georges Melies, whose life was briefly shown to us through the 2011 Martin Scorses film, “Hugo.”The Circus Flora version is no less enchanting and just as exciting. While every seat in the big top is a good seat, this year (our third consecutive year) we sat in the center Mezzanine, directly opposite the band loft. Our seats gave us a nice view of the video projection of some of the actual Melies movie. This year among the acts were the Flying Wallendas doing high wire (with no nets), Carlos Svenson’s Goats, The Muttville Comix Dogs (who managed to keep a basset hound awake during the act); Lisa Dufresne’s Miniature Stallions (dressed as lions), The St. Louis Arches, the Flying Pages, and aerialist couple Duo Ardeo (a word of advice: that act is HOT!). Of course, our favorite dramaturg Hovey Brugess is back to narrate our journey. Circus Flora was established in 1986. It is a not-for-profit theater company, founded here in St. Louis and currently based in the Centene Center for Arts & Education on Olive Boulevard, only a block or two from where the big top is raised behind Powell Hall. Though its Clowns on Call program, Flora continues to entertain and outreach to hospitalized children and their families in our area, and provide other educational programs throughout the year. 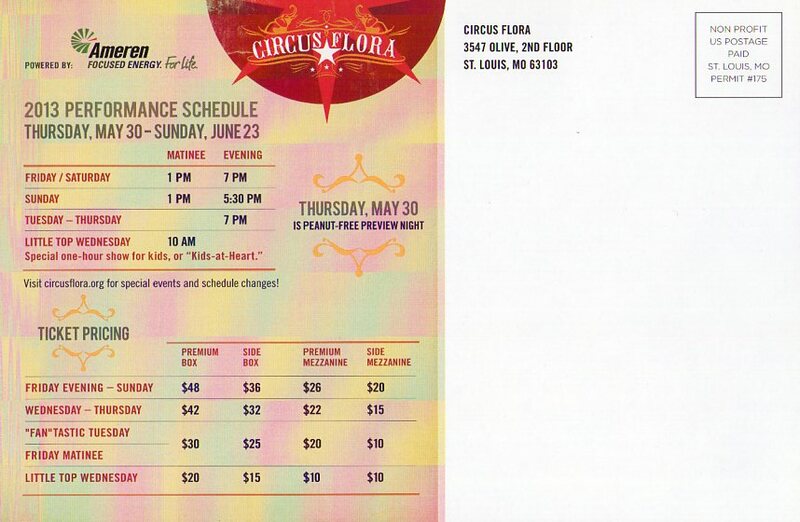 The St. Louis Arches is a youth circus performance troupe comprised of local St. Louis children 12 to 21 years of age. 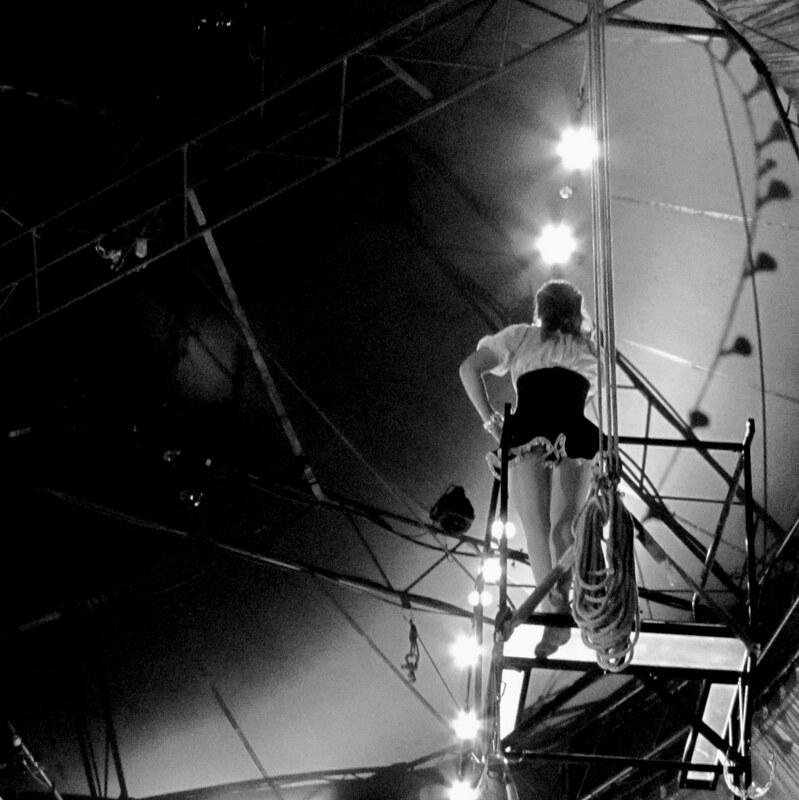 Under the parent organization Circus Harmony, the children are taught various circus skills at the home ring at the City Museum. 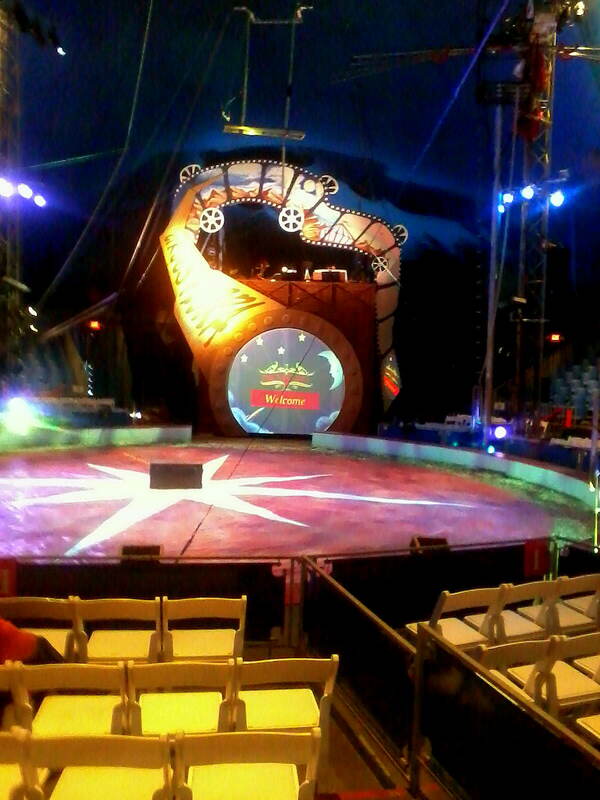 Circus Flora runs through June 23, 2013 in the air conditioned Big Top behind Powell Hall, in Grand Center. There is surface parking adjacent to the tent — matinee parking price was only $5. The performance prices are extremely affordable. Another excellent review of Circus Flora.